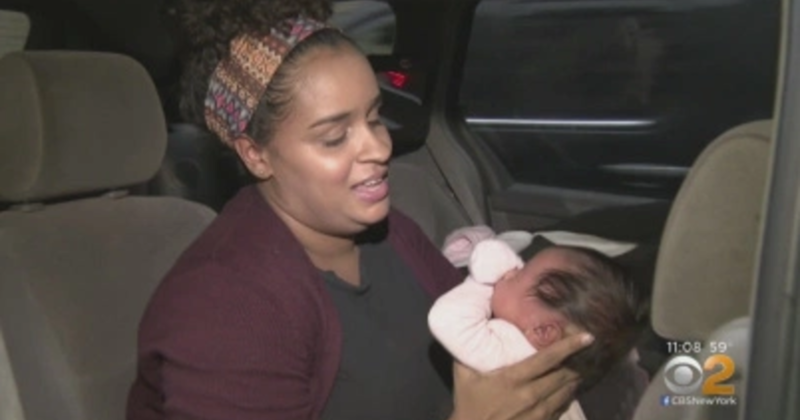 New York – A mother is fighting a parking ticket she got after she pulled over to breastfeed her baby in New York City, CBS New York reported. Guillermina Rodriguez, a mother of four, was driving through midtown Manhattan on Thursday with her three-week-old baby crying in the backseat. "There was an immense amount of traffic. It took me like 45 minutes to an hour to just get from 42nd to 30th street, "Rodriguez said. She found a space to pull over. "Even though I saw it was a commercial area I'm like," I'm not obstructing the traffic … Let me just stay there and I can breastfeed the baby there, "" the mother said. Rodriguez then climbed in the back seat, and a few minutes into nursing, a NYPD tow truck pulled up. He said the ticket agent got out and walked over to her truck. "I'm actually breastfeeding on one side and pumping on the other so both my breasts are out, and I turn and I'm like, "I'm breastfeeding the baby!" Rodriguez said with a laugh. "And he looks like he's like," Oh, OK, "… puts the ticket on the windshield and leaves." The mother was slapped with a $ 115 ticket for standing in a commercial zone. The NYPD told CBS New York the traffic agent wrote the ticket before saw Rodriguez was breastfeeding, and since traffic agents do not have authority to void tickets, his hands were tied. "I think they should have been a little bit more sensitive, "Rodriguez said. Rodriguez said ticket agents should consider urgent enough to exempt and find. "I feel like getting them a little bit more educated on that area would be a lot more helpful," she said. Rodriguez plans to dispute the ticket and said she is collecting the judge is a parent.